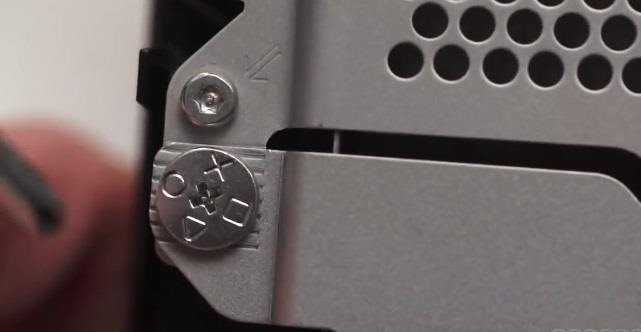 All you need is a Phillips screwdriver to take out the PlayStation decorated screw (and the screws on the hard drive holder), as well as your new hard drive. If you want more space and a little more pickup, without the absurd cost of a SSD, most people opt for a 1TB HDD, which you can find on Amazon or any number of tech players. Peter Brown from Gamespot shows us how easy it is to replace the standard HDD (hard drive disk) with a SSD (solid state drive), but the process is the same no matter what drive you use. Brown also shows you how to download the PS4 v1.5 firmware update from Sony onto a USB flash drive, and install the software on your new PS4 hard drive. For detailed instructions, see "How to Manually Update PS4 to Software 1.50 via USB Flash Drive" for help. While the video above does show you that a solid state drive will most like be faster than a HDD, it forgets to mention that an SSD can cost a boatload of bucks, especially when you start talking terabytes. The average user should be perfectly fine with the standard 500GB HDD that ships with the Sony PS4, but you can still upgrade to a larger HDD for much less than an equivalently sized SSD. It is double the capacity of the PS4's native drive and should be much faster as a hybrid HDD/SSD drive. The cost as you can see is also very reasonable, as Seagate is a very quality company. Thanks for the tip. I use Seagate for my laptop and have never had a problem, plus that price is great.